Of all the cities around the U.S. that are severely impacted by the HIV/AIDS pandemic, New York City tops the list. The City is home to approximately 99,000 persons that are living with HIV/AIDS, which is almost 10% of the total number of all individuals in the U.S. living with HIV/AIDS (1.1 million)*. Looking at the estimate by borough, Manhattan - 31%; Brooklyn - 25%; the Bronx - 22%; Queens - 14%, and Staten Island - 2%. Digging deeper by gender, men make up 70% of those living with HIV/AIDS; women make up the remaining 30%. In terms of new infections, a recent study by the NYC Department of Health and Mental Hygiene showed that HIV is spreading in New York City at three times the national rate; an incidence of 72 new infections for every 100,000 people as compared to 23 per 100,000 nationally. In 2006, an estimated 4,762 individuals became newly infected with HIV in New York City. Once again, looking at the estimates by borough, Manhattan accounted for 35% of all new infections; Brooklyn, 26%; the Bronx, 19%, and Queens, 17%. Breaking down the statistics by gender, men accounted for approximately 75% of all new infections, with women making up the remaining 25%. From a racial standpoint, Blacks made up 46% of the new infections, Hispanics 32%, and Whites coming in third with 21%. However, these statistics quite disproportionate to the actual racial make-up of the city. According to the 2000 U.S. Census, White made up 44% of New York City's population, while Blacks and Hispanics were about the same at roughly 27% for each. New York City has always been known for its diverse cultures, eclectic tastes, and broad horizons. 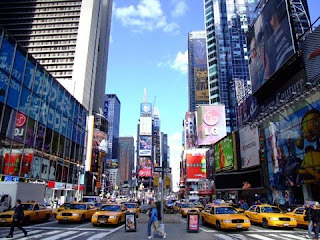 Many people come to New York in search of a new home, new career, or an overall fresh start. However, as we've seen through the statistics above, New York is also a city that's in peril when it comes to HIV/AIDS. Even though there is an abundance of work being done in the city to combat the spread of this deadly pandemic, this information shows that there is, unfortunately, still so much left to do.